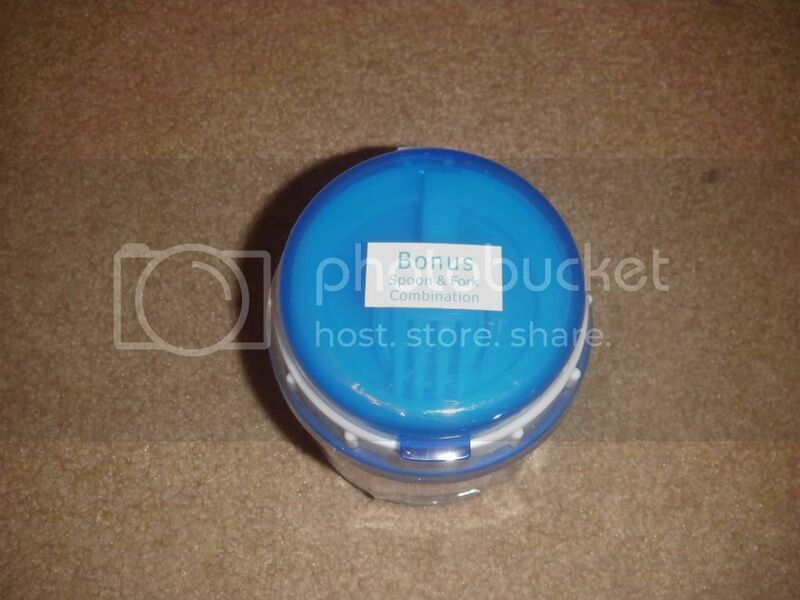 I picked up this "insulated food jar" made by "mainstays" at Wal-Mart tonight for $3. 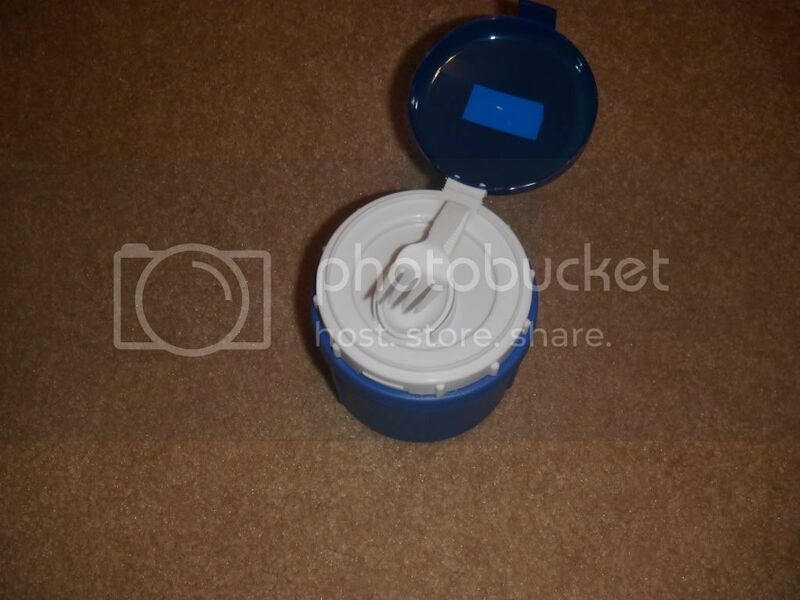 What caught my eye was the top that boldly stated, "Bonus spoon and fork combination" Inside the lid was a folded up fork...spoon looking thingy. I had to get one and see what was going on. 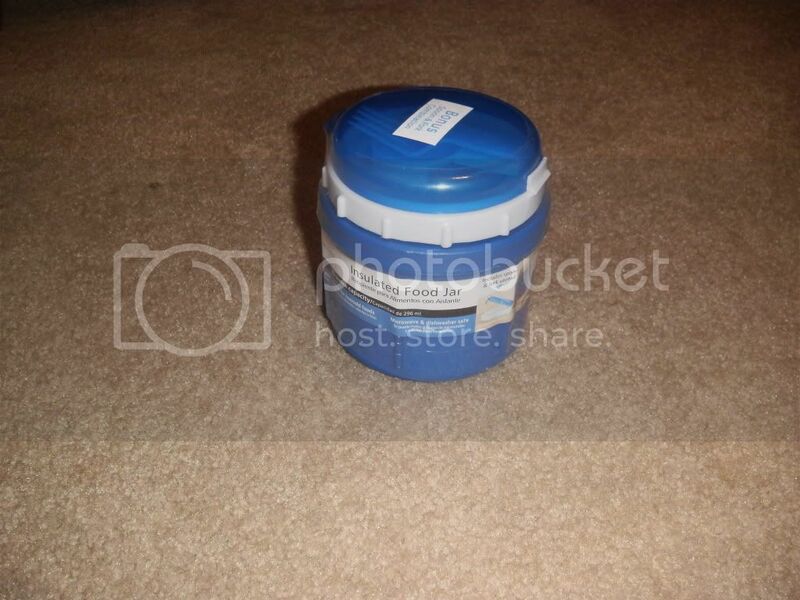 The jar was pretty much worthless. 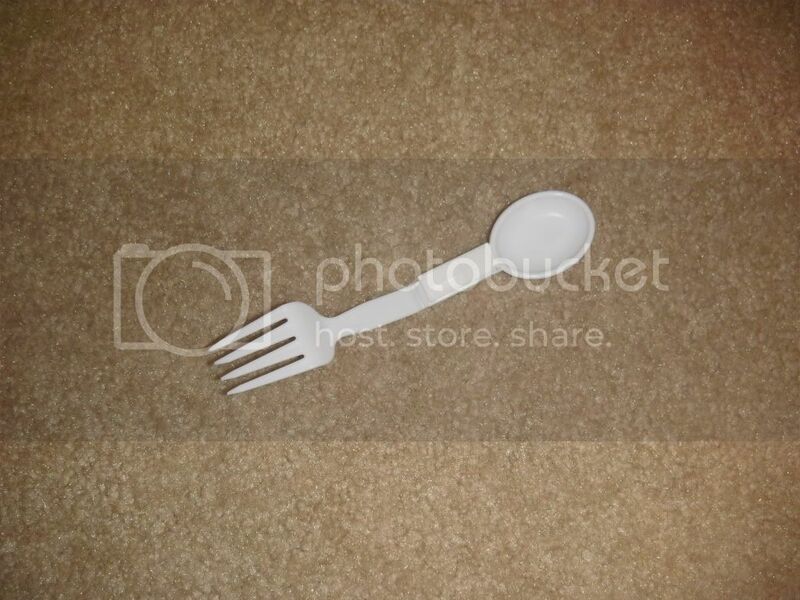 The spoon / fork combo was neat though. it measures 3 1/4" folded and 6" extended. The lock is fairly sturdy. I wish the other materials were a bit stronger, but for basic noodle stirring and eating it should work fine. For $3, I was impressed. I took pictures of the thing and made a short video in which I fold, unfold, and bend it. I'm going to cook some ramen tonight and see how it holds up to boiling water. Just got done cooking some ramen noodles. The thing works great for it. 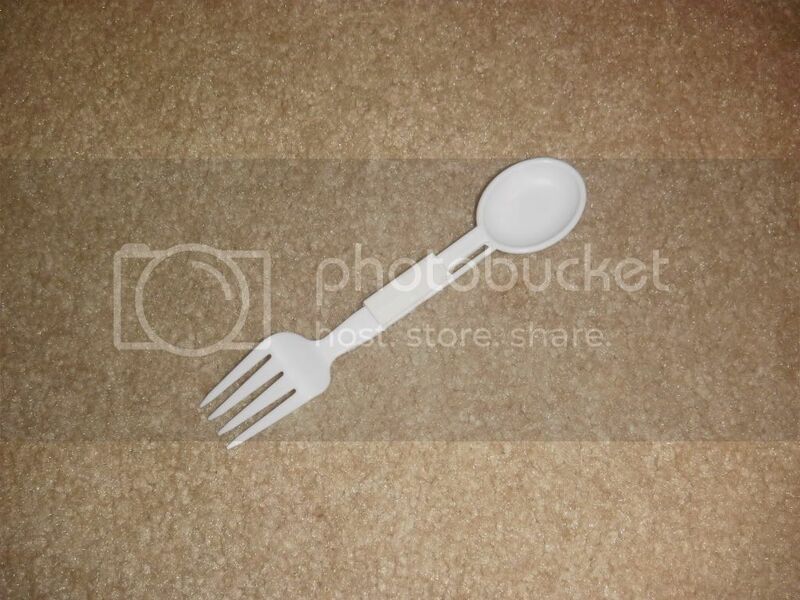 It's not quite as stiff as a taco bell spork, but not as brittle either. It resists heat incredibly well too. I was surprised. I noticed no bending. If it passed your test, it'll do just fine for my wife.......she's a gadgeteer that fills every nook and cranny in our camp kitchen. I know she can find a place for it. Thanks for filling us in on your Wal-Mart treasure. lol, no problem. I think I might stick it in my cook set as a back-up. They recently disco'd these at Kroger for $1.75. I know ,but I just had to nab a couple if not to just use for my lunch pail. When its a steal of a deal, what can I say. I've been known to buy 30 -40 of an item when it is at a hot hot price. Stumpjumper is ready for any food shortage as he picked up 140 jars of peanutbutter when we had a hot sale on them . He'll never get through them. I told him to put a couple jars in each of the Christmas baskets he makes up for the needy. Peanut butter does go rancid.. ..but it does make a good universal food..have him send ten jars this way.